For awhile, it seemed like AirBnB was digging graves for traditional hotel chains. One hotel chain came to The Octalysis Group with this fear. They had reason to be worried, but we at TOG knew that with a product gamification design backed by behavior science, we could help. And we did. Hotels need guests to stay in business and thrive. If guests are staying at AirBnB or other house-sharing services, then they aren’t staying at the hotel. How to recapture them? 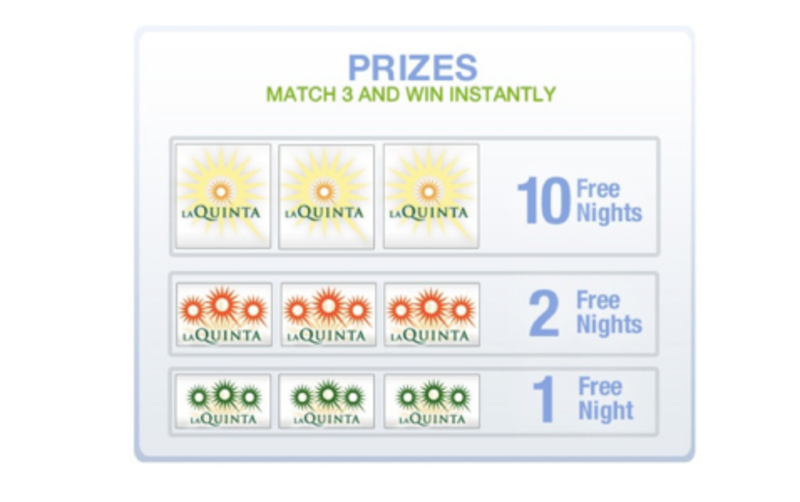 La Quinta wanted to increase conversion from interested guests to paying guests. La Quinta’s ROI: 712%. Let’s take a look at how we did it. At the beginning, Lucky Diem created a familiar slot machine design. Users see the Spin Button in the form of a Desert Oasis (a large Win-State action that visually attracts the user). Spinning gives the chance to win points and collectables. Tokens are requires for play. Enter Scarcity (Core Drive 6: Scarcity & Impatience). A wheel of fortune style game can later generate additional tokens. 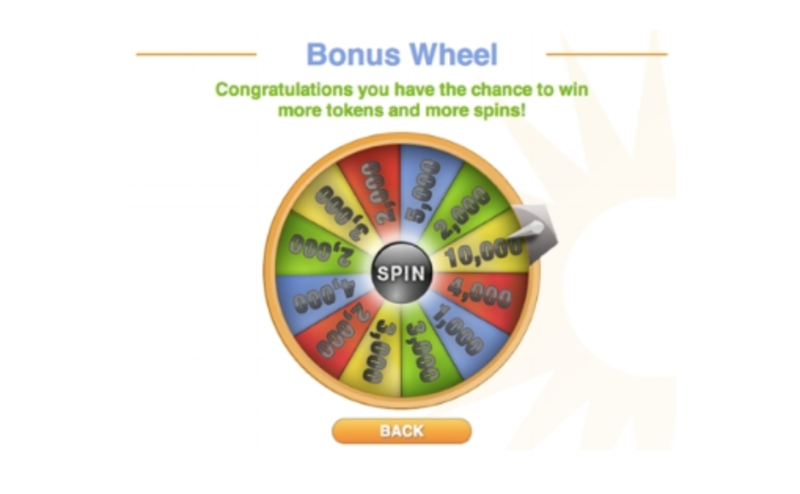 In addition, users can be surprised with Instant Grand Prizes on any spin. Even though the Grand Prize is rare, the mere hope of attaining a large prize makes the experience enjoyable. “Maybe this time…” (Core Drive 7: Unpredictability & Curiosity). 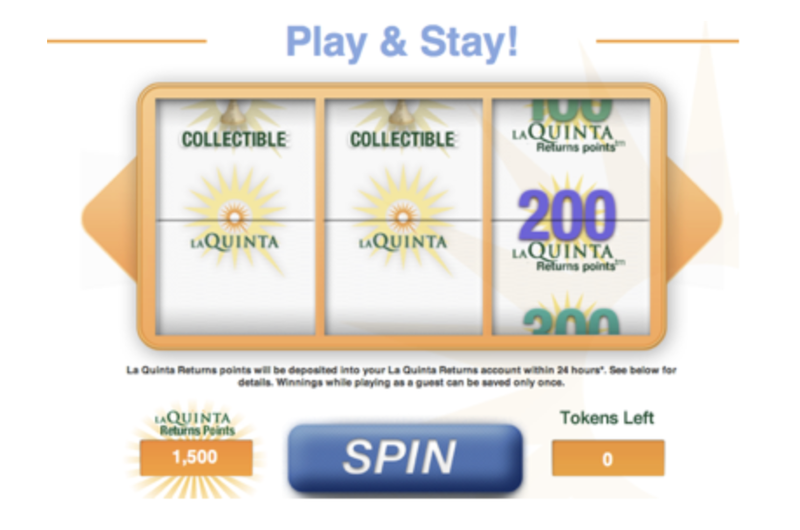 All the while, the users general La Quinta points are adding up! Users feel a sense of accomplishment (Core Drive 2: Development & Accomplishment) and a prideful ownership (Core Drive 4: Ownership & Possession). The small chance of winning the grand prize does not bother people much, as the mere hope of winning a large prize is enough to make an experience fun. In that sense, because the prize is so enticing, people are more motivated to continue playing, while being content that their general La Quinta points are accumulating (Core Drive 2: Development & Accomplishment as well as Core Drive 4: Ownership & Possession). The power of product gamification allows companies to hone in on their most important business metrics. In this case, understanding behavior science and designing for humans achieved impressive results. The results above came from deep work: months of scarcity design, large spreadsheets that understand the economy, the right interface and triggers at the right time, and so much more. Octalysis design is all about using a clear understanding of the 8 Core Drives of motivation. The hotel chains that have survived the AirBnB boom paid attention to something really important. What’s the answer? Easy: customer engagement. But knowing the answer doesn’t allow you to design the best solution to get there. We at The Octalysis Group have helped hundreds of companies consider how to improve their business metrics. One of our specialties is product gamification. See how product gamification can work for you.